This page includes a description of the management procedures for the website as regards personal data treatment of the users who browse it. The information is provided only for the websites mentioned above, and not for any other websites which a user might decide to browse starting from the links they include. The information about personal data collection on-line is based on a transparency principle; for this reason it needs to include the methods, timing and nature of information which the data processing controllers need to provide users when the latter log on to web pages, regardless of the purposes of browsing them. After having browsed this website, it is possible that data may be processed pertaining to persons who have been or might be identified. The relevant data processing “controller” is ASSOCIAZIONE MUSEO DELL’ARPA VICTOR SALVI, with offices in Via Rossana n.7 12026 Piasco (CN) (Italy). The Controller, pursuant to Art.37 of European Regulation 679/2016, has appointed a Data Protection Officer; contact details for the latter are as follows. Any processing related to internet services on this website shall be carried out at the offices referred to above (except for hosting aspects dealt with by the Service Provider), and followed exclusively by technical staff, or by supervisors in charge of occasional maintenance work. None of the data from the web service shall be transferred or disclosed outside the company. Any personal data provided by users applying for information shall be used for the sole purpose of rendering the relevant service or performance; they shall be passed on to third parties only if it should become necessary in that regard. technical Cookies, i.e. browsing- or session-related, essential for the website operation or to allow users to access any contents or services which they might require. Cookie analytics, allowing for an insight into how the website pages are browsed by users. These cookies do not make it possible to collect information about the user’s identity or other personal details. All information is processed in an aggregated and anonymous form. Functionality cookies, i.e. those used to enable specific website functionalities and a set of selected criteria (for example language or selected products for purchase), with a view to improving the service rendered. Third-party cookies, i.e. cookies from websites or servers other than the one hosting this website, used by what are known as third parties for their own purposes. Profiling cookies, also third party-related, that is to say cookies whose purpose is to profiling a user, which are then used for direct online mailing based on the preferences shown by the latter in the course of internet browsing. The User’s Data are processed in order to allow the Controller to provide its services, as well as for the following purposes: Interaction with live chat platforms, Statistics and Interaction with social networks and external platforms. The types of Personal Data processed for each individual purpose are listed in the relevant sections of this paper. The legal basis for processing is the Controller’s legitimate interest. No automated decision-making is involved in data processing. The data processing Controller shall not transfer personal data to a third country or to an international organisation, with the exception of third party services/components “embedded” in the website, as detailed in the following sections with the relevant policies. This type of services makes it possible to interact with live chat platforms managed by third parties, directly from the webpages of this Application. The User is thus in a position to contact the support service for this Application, or the same Application is enabled to contact the User while the latter is browsing its webpages. if an interaction service with the live chat platforms is installed it is possible that, event in the event that Users do not avail themselves of the service in question, the latter might collect Usage Data in relation to the webpages on which it is installed. It is also possible that conversations on the live chat are recorded. This type of service allows for interaction with social networks, or with other external platforms, directly from the webpages of this Application. All interactions and information acquired by this Application, in any case, are subject to the User’s privacy settings in relation to each social network. In the event that an interaction service with social networks has been installed it is possible that, even in the event that Users do not avail themselves of the service in question, the latter might collect traffic data in relation to the webpages on which it is installed. Personal Data processed: Cookies and Usage Data. Statistics – Monitoring and analysis of landing data, to keep track of the User’s behaviour. Google Analytics is a web analysis service provided by Google Inc. (“Google”). Google uses any Personal Data processed for the purpose of tracking and examining the use of this Application, drafting reports and sharing them with other services developed by Google. Google might decide to use Personal Data in order to contextualise and customise the ads in its advertising network. Contact forms on the website allow the user to contact the processing controller, subscribe to the Newsletter or send an application. The data included in the CV, at the sole discretion of the person providing such information, might be included in the category of “specific data”. ASSOCIAZIONE MUSEO DELL’ARPA VICTOR SALVI guarantees that any data in the CV shall be used exclusively for staff selection purposes; they shall not be transferred to independent persons, or used for activities other than those mentioned above. Personal data: name, surname, city, e-mail, curriculum vitae. This type of services analyses browsing on this Application, which potentially includes Users’ Personal Data, for the purpose of filtering it from landing pages, messages and contents which are recognised as SPAM. This type of service allows for the creation of ad hoc webpages (“InBound Landing Pages”) for targeted campaigns. This page includes a contact form (“InBound Form”) through which the User may ask for an estimate by entering name, surname, e-mail account and some company data (for legal persons). These data shall automatically be sent by e-mail to the address [email protected] , then handled and collected by the “InBound Leads” plugin which could also track the User through usage Cookies and Data (visible on MUSEO DELL’ARPA VICTOR SALVI only after the User has filled out the form and agreed to the terms for data processing). Personal Data processes: Cookies, Usage Data, Name, Surname, E-mail account. Any e-mails sent, on an option, express and voluntary basis, to the addresses listed on this website entails the subsequent acquisition of the sender’s address, which is necessary to answer requests, as well as of other personal data possibly entered in the message. Any personal data entered upon subscription to the newsletter through the website, or any request sent through the form in the latter, shall be processed only after you have agreed thereto. Specific summary information shall be gradually included or displayed on the website pages for specific services on demand. Notwithstanding the provisions on browsing data, the user is free to provide the personal data entered in any information request forms. Failure to provide such data could make it impossible to render the service required. 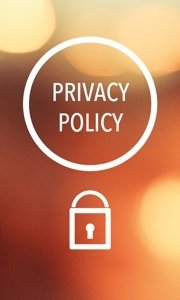 The persons to whom personal data refer have the right, at any time, to apply for confirmation of the existence of the said data, as well as to be informed about their content and origin, check their correctness or ask for them to be integrated, updated, or rectified pursuant to articles 15-22 GDPR). Pursuant to the same articles, data subjects are entitled to apply for their erasure, processing in anonymous format or blocking, as well as to object, for legitimate reasons, to their processing.